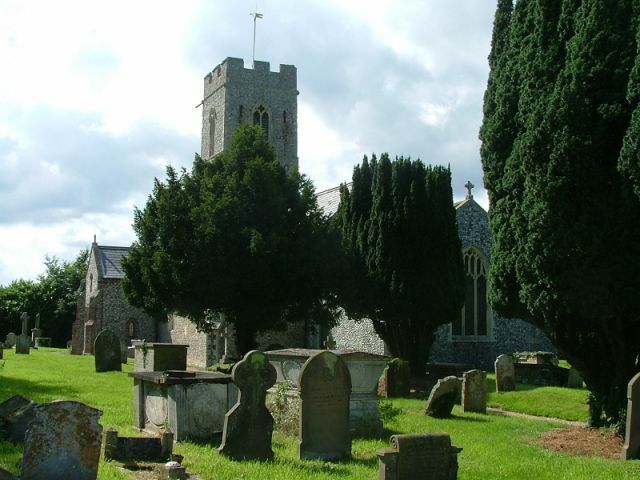 Sutton is a fairly ordinary village off the road between Stalham and Potter Heigham, but the church is away from it along narrow lanes that will eventually take you all the way to Ingham. 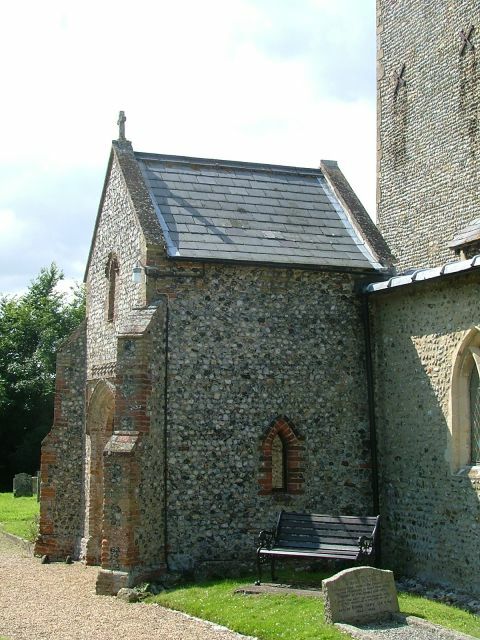 It is a relatively unimportant church, very restored and without anything particularly exciting inside. 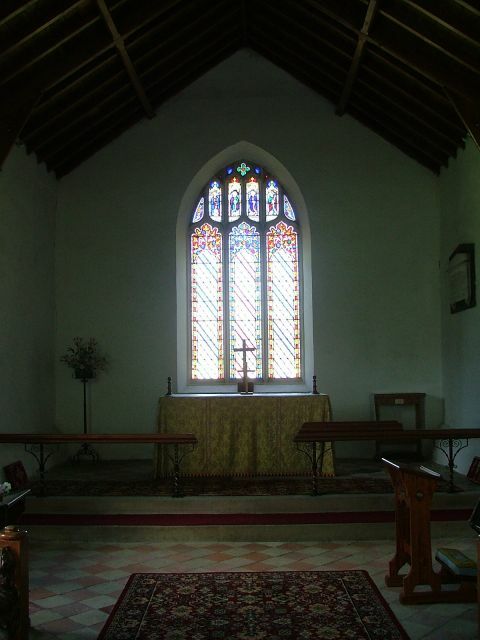 Because of this it is exactly the kind of church that is normally kept locked, but we found it open and welcoming which is greatly to its credit. 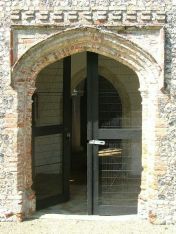 The porch was built right on the eve of the Reformation, and has a splendid Tudor entrance. 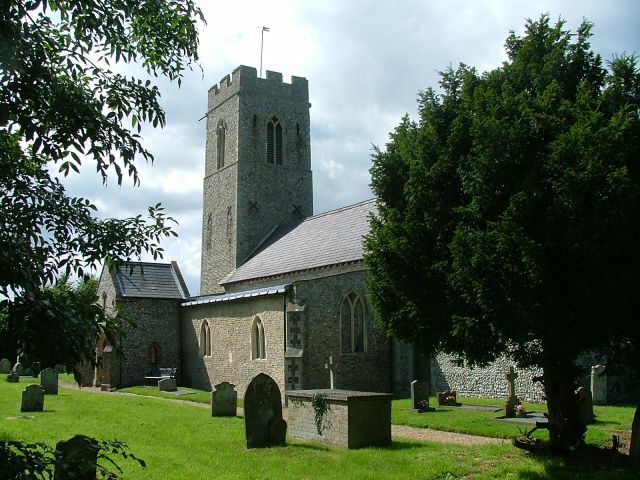 But despite Herbert Green's familiarly dull restoration of the 1890s, much of the construction here is of the early 14th century, before the Black Death put a crimp in so many Norfolk church buildings. 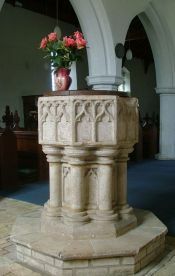 The font is contemporary with the building, an absolute delight. 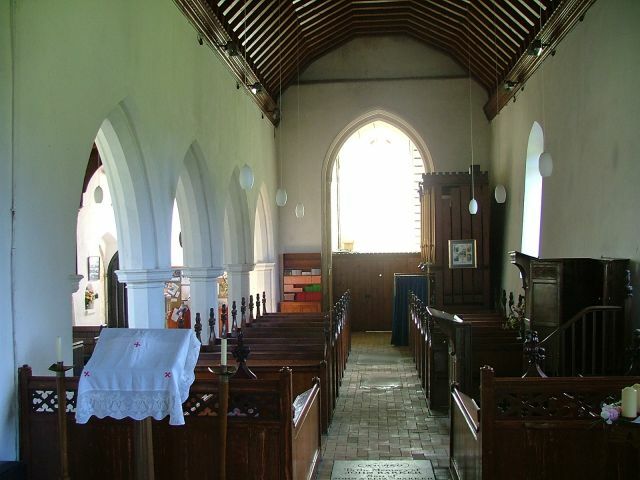 It sits in an interior which is thoroughly clean and well-cared for. 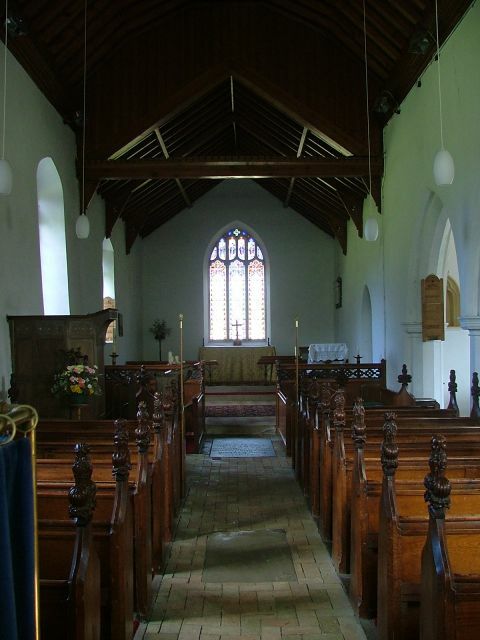 It was actually very refreshing to sit here for a few moments; so many of the churches around here are full of wonders, all bells and whistles; but here was a simple village church, with details surviving from every century, every generation, doing what it does best - just being there.